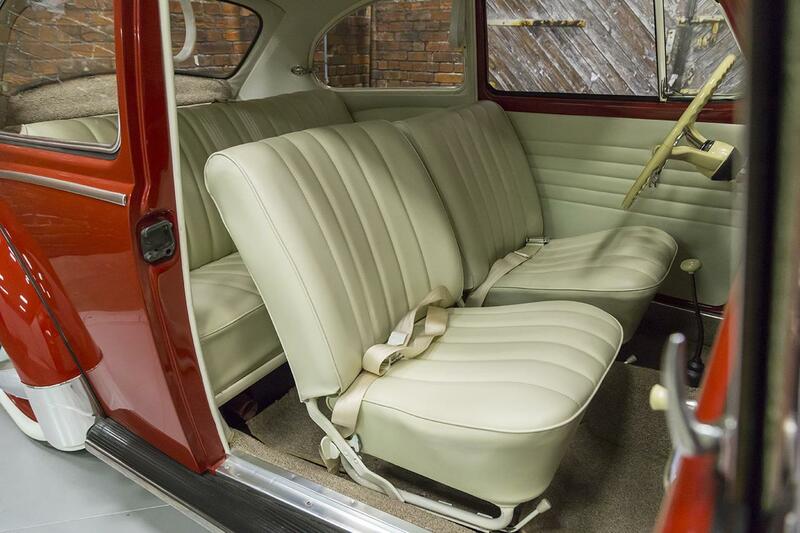 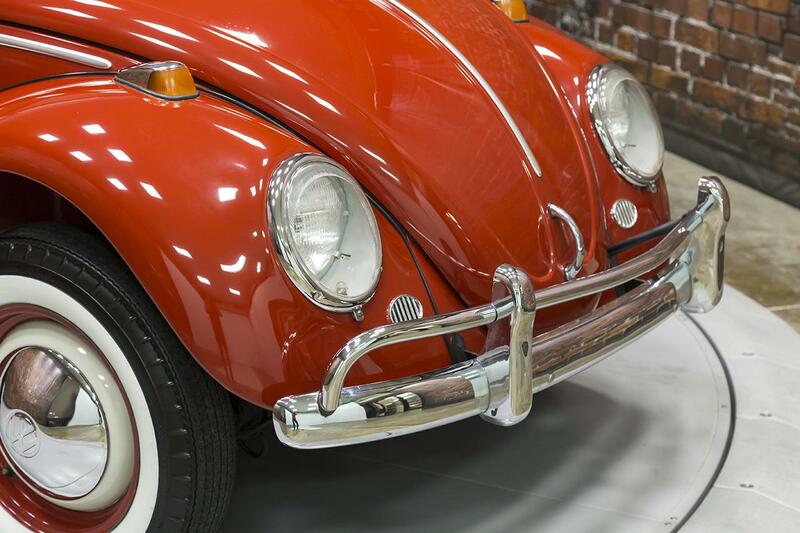 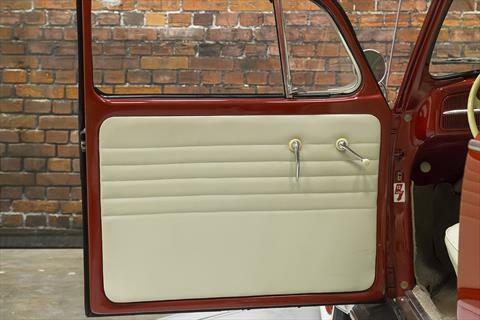 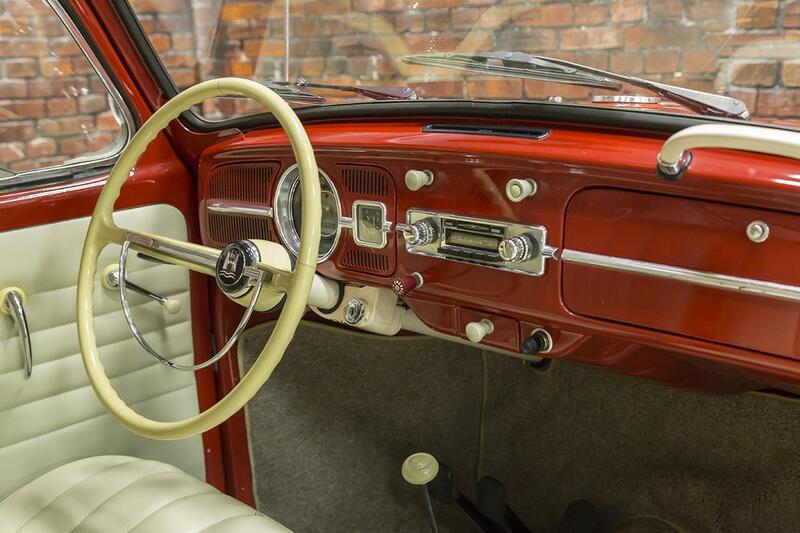 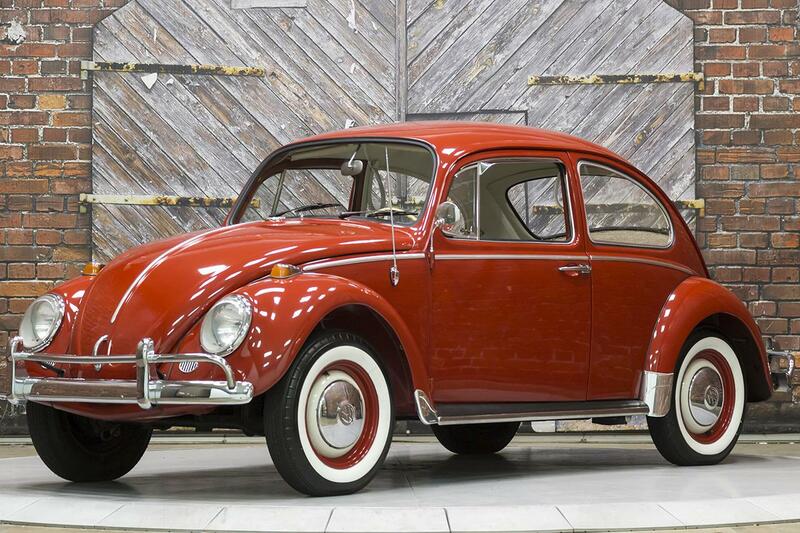 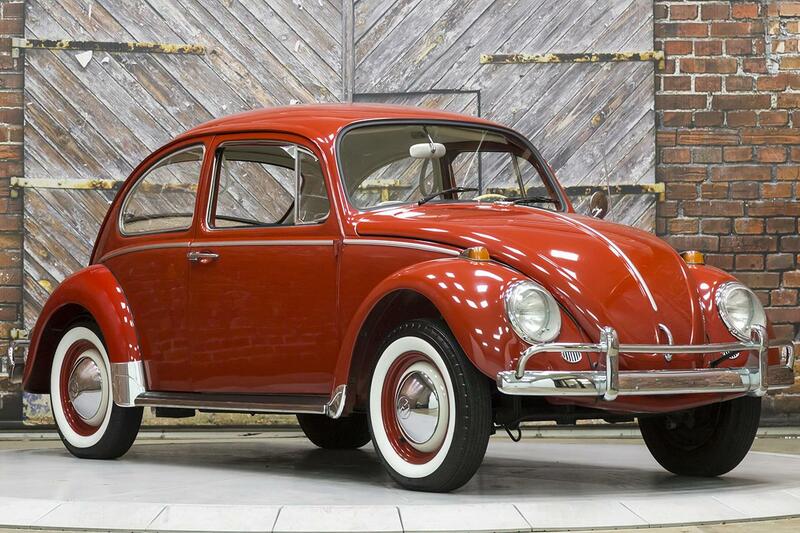 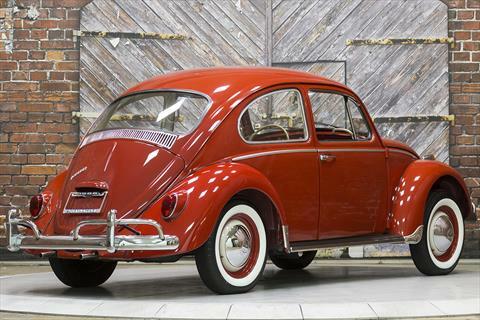 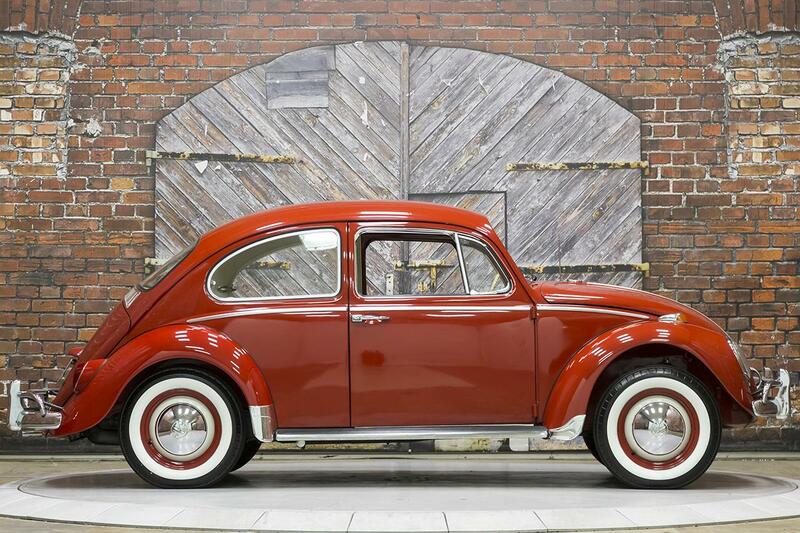 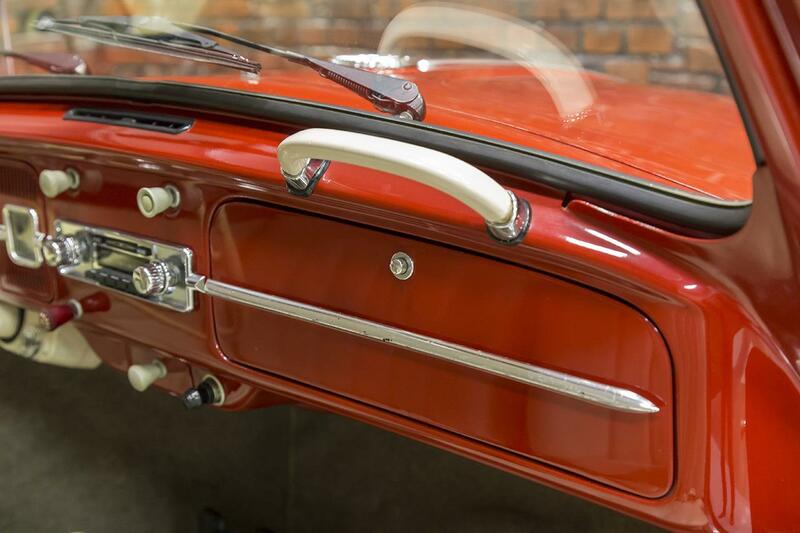 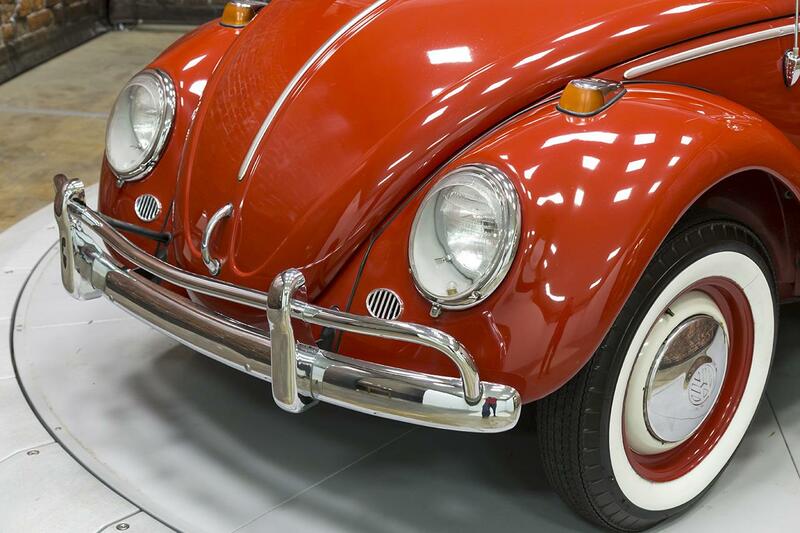 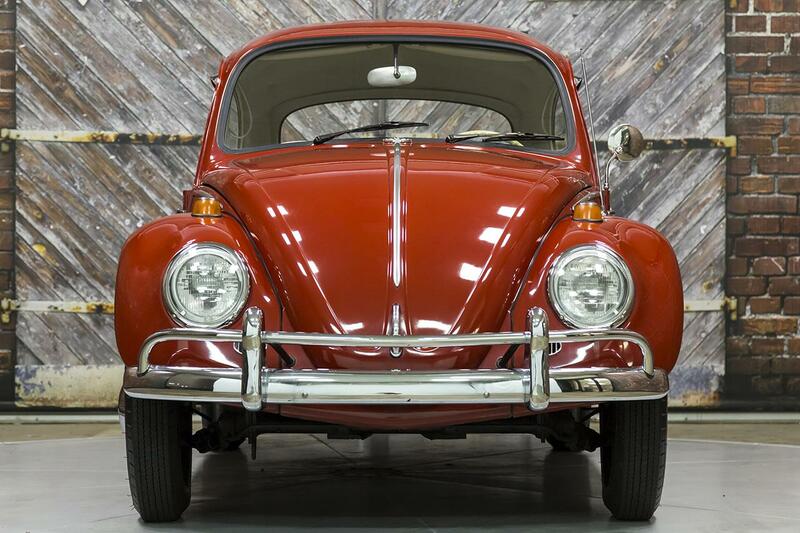 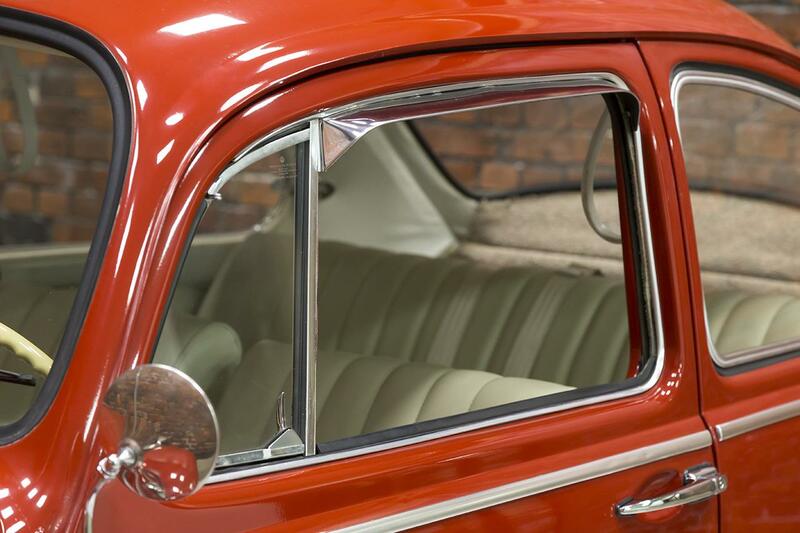 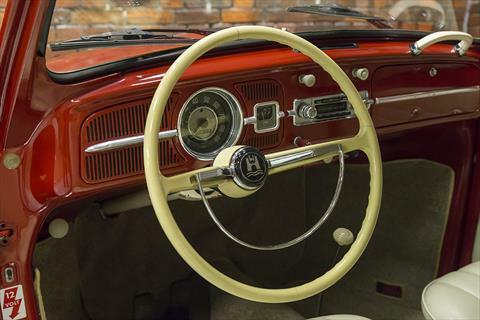 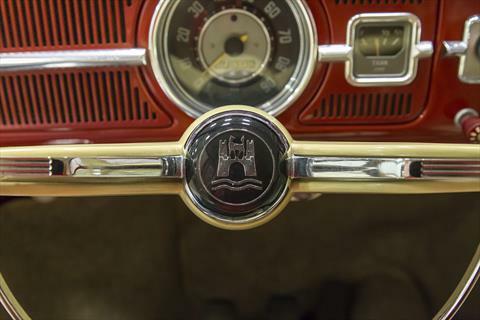 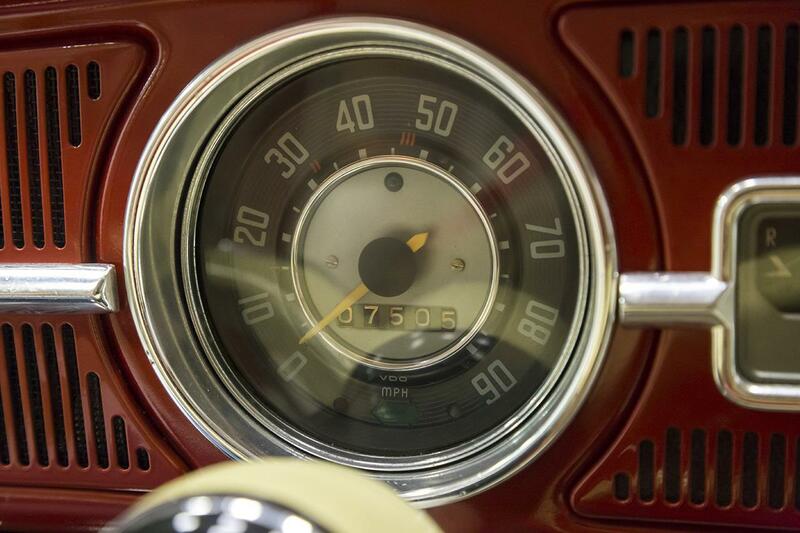 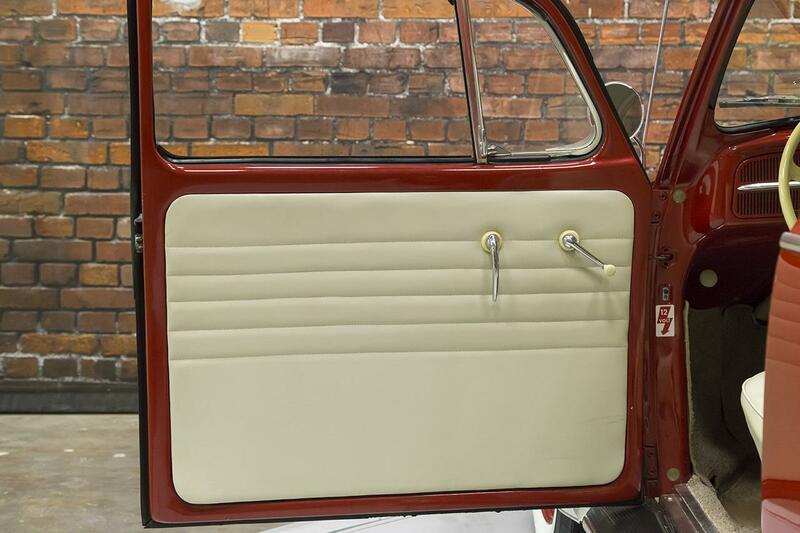 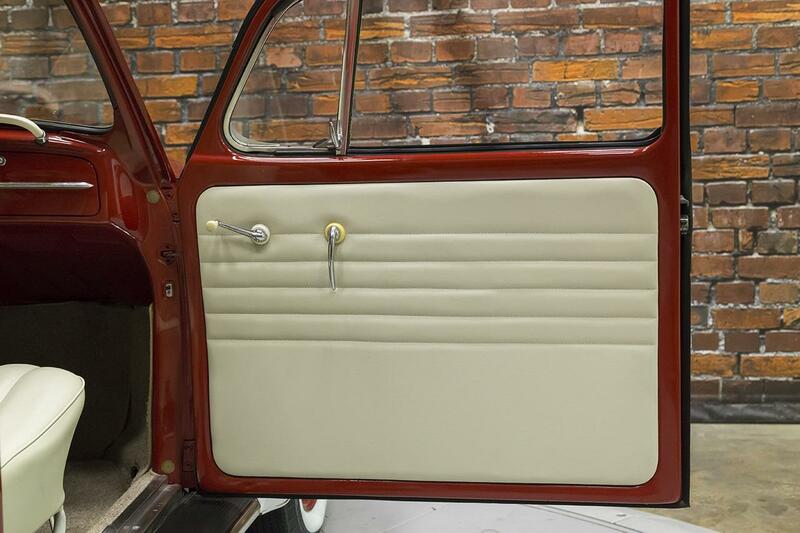 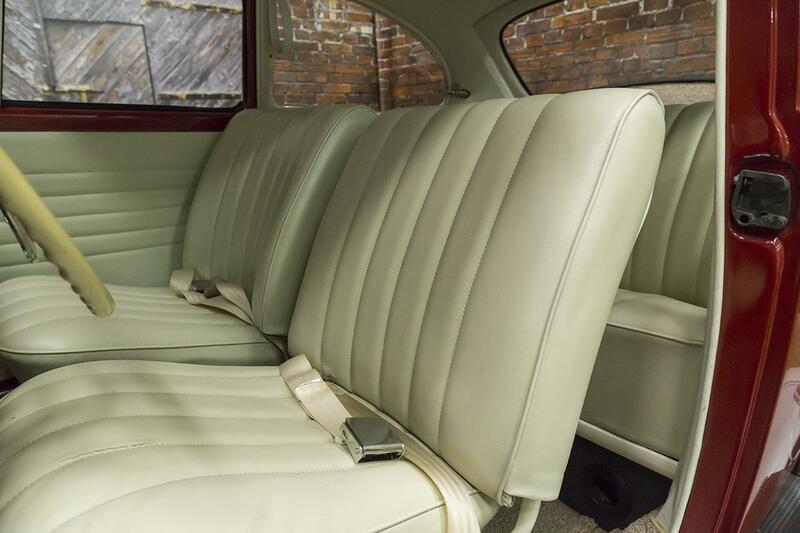 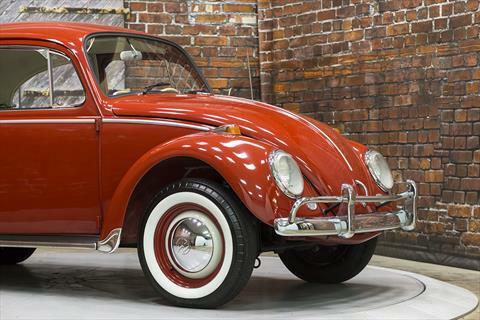 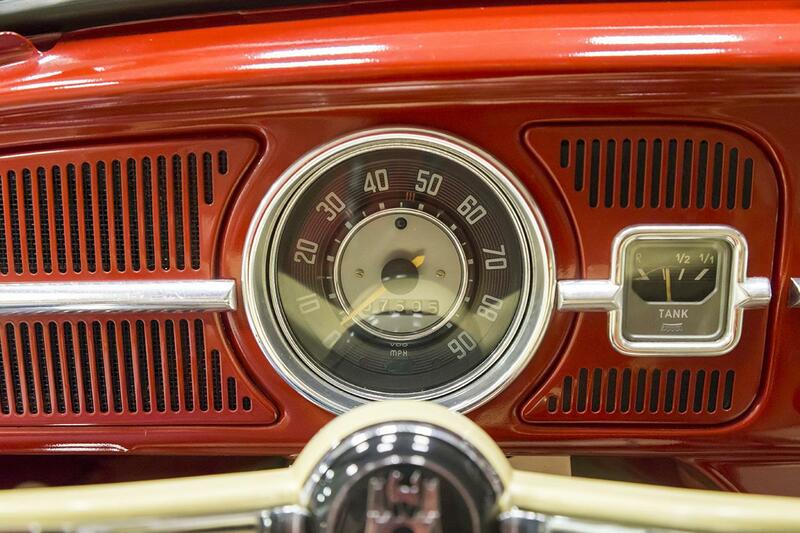 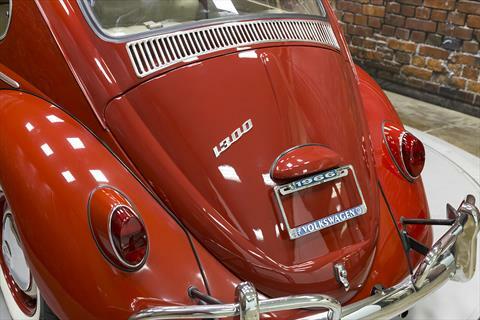 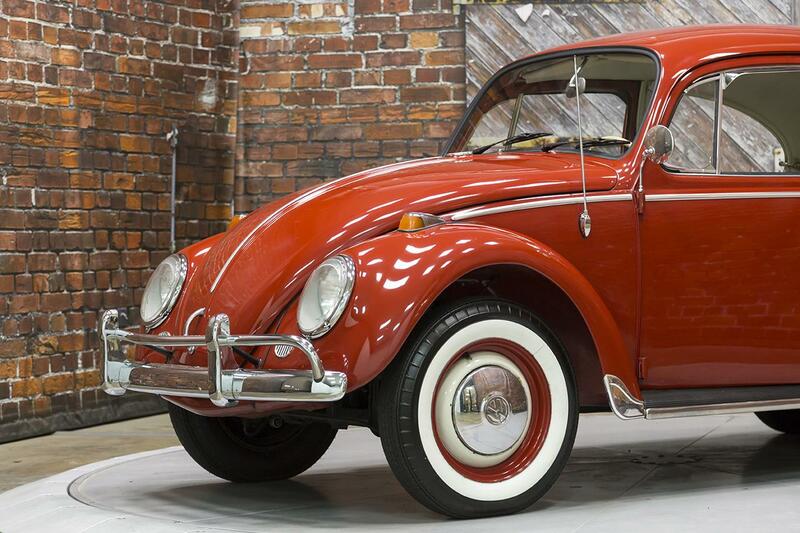 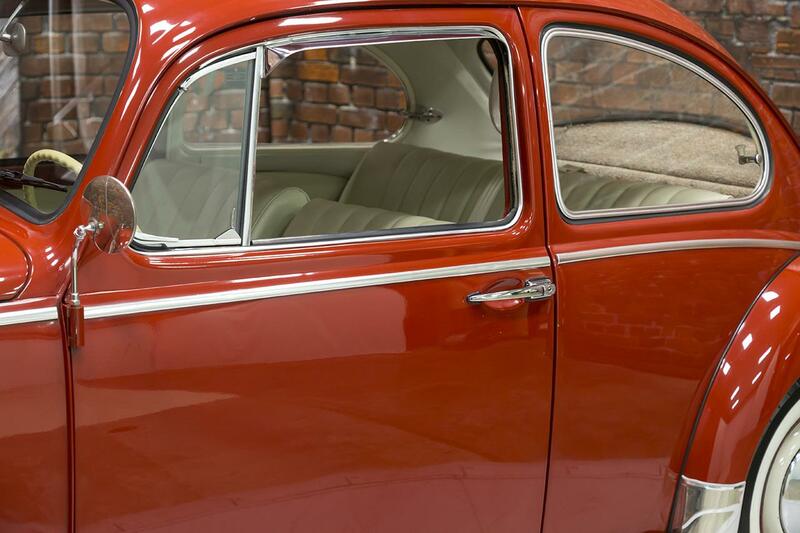 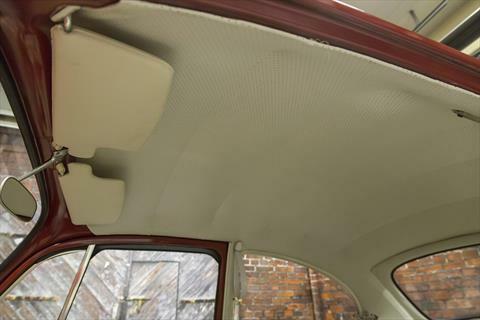 We proudly offer this beautiful 1966 Volkswagen Beetle 1300 in Ruby Red over a Platinum leatherette interior with just 7,505 miles showing on the odometer. 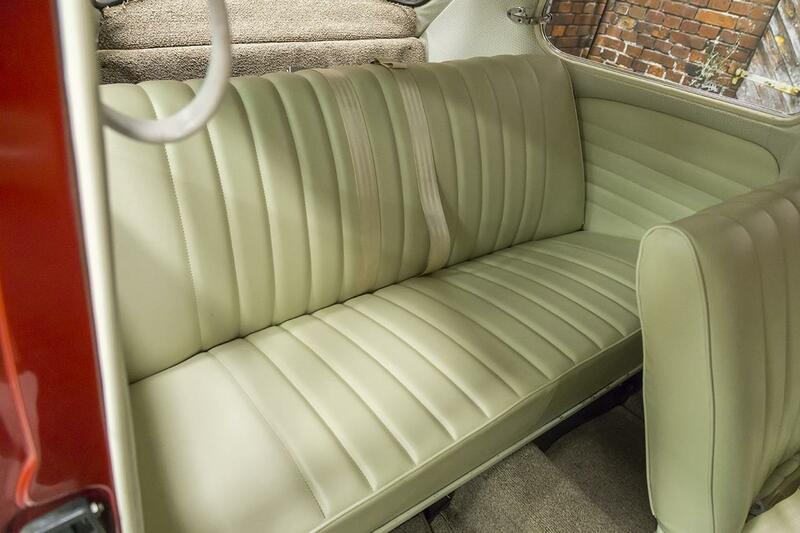 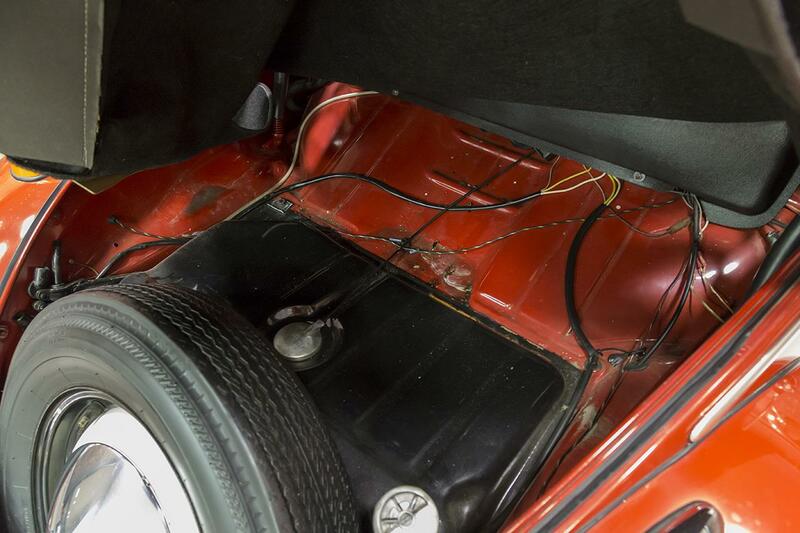 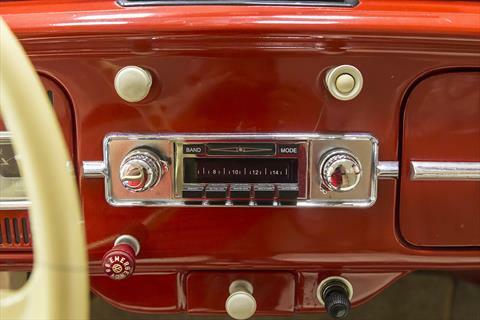 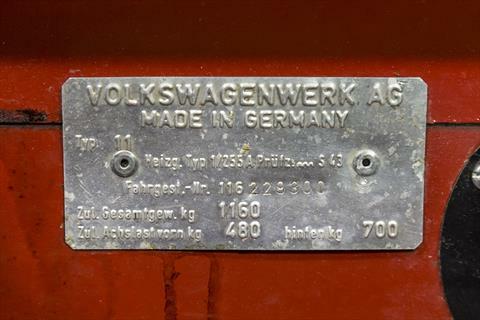 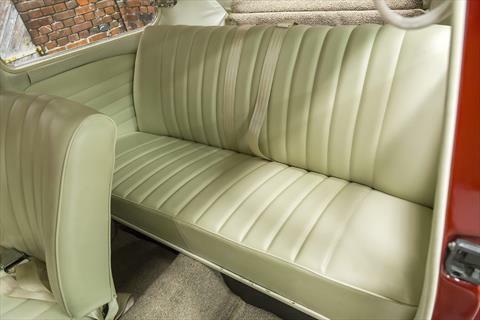 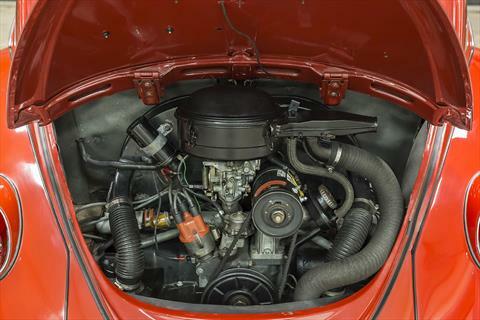 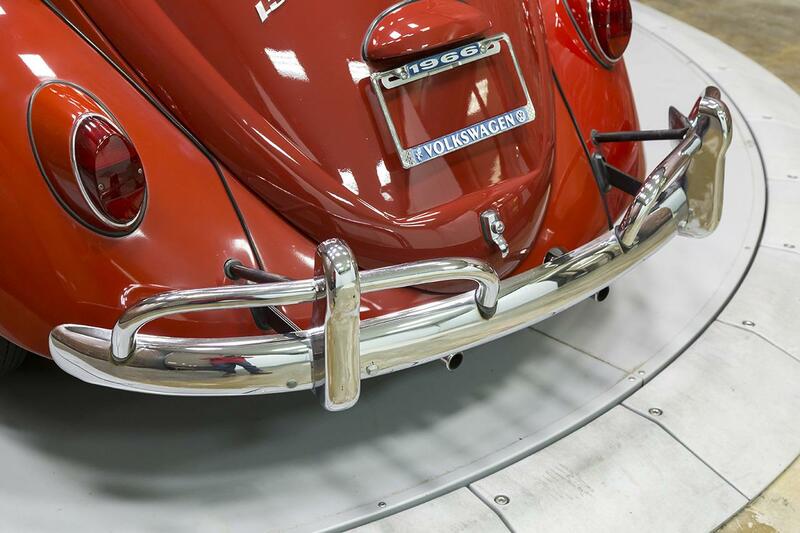 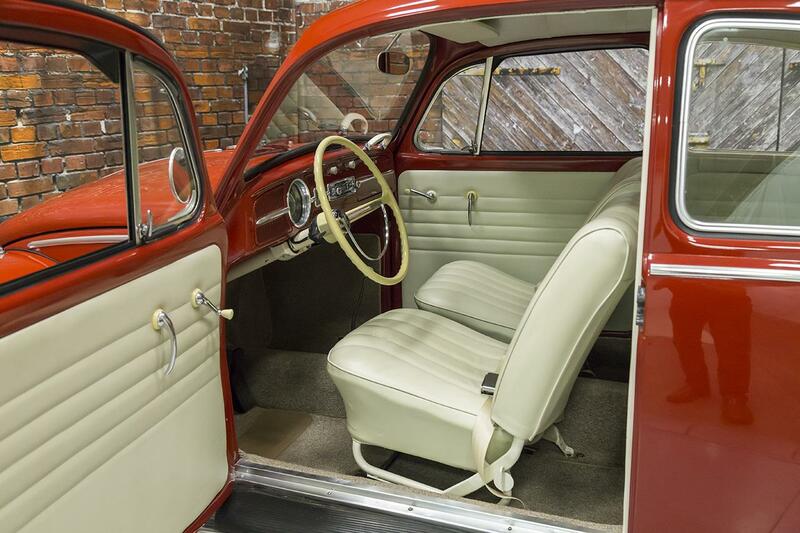 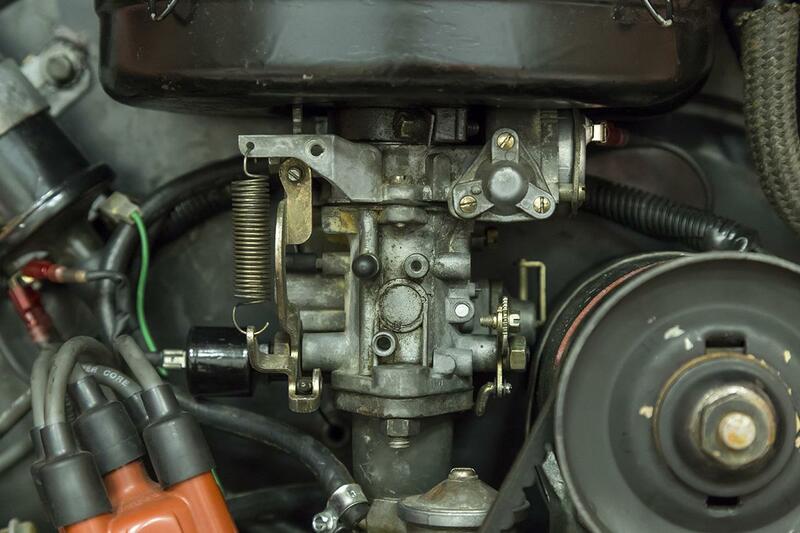 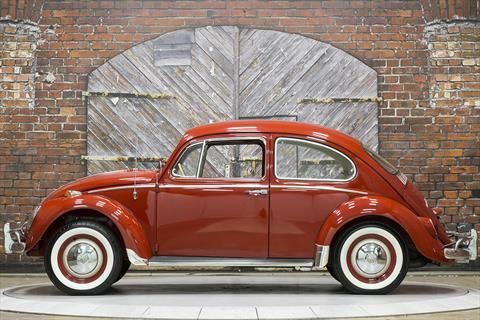 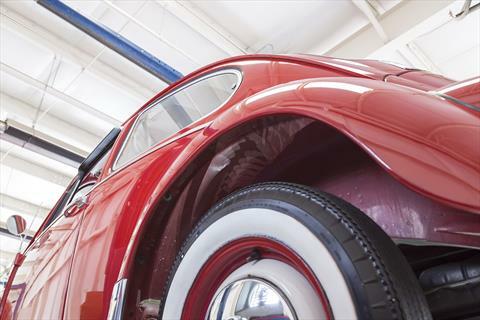 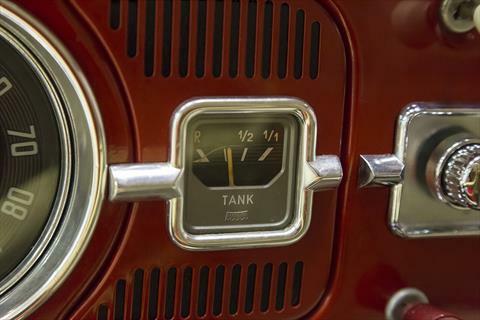 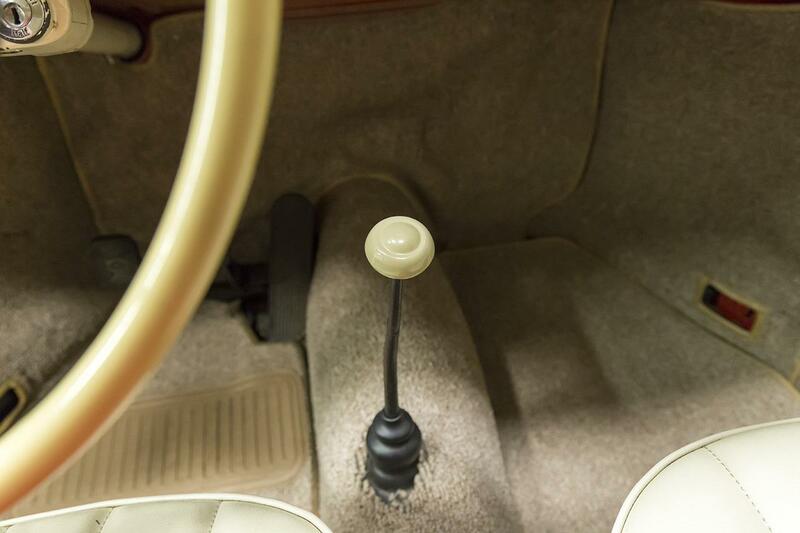 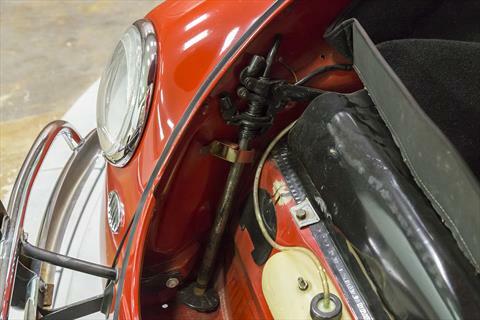 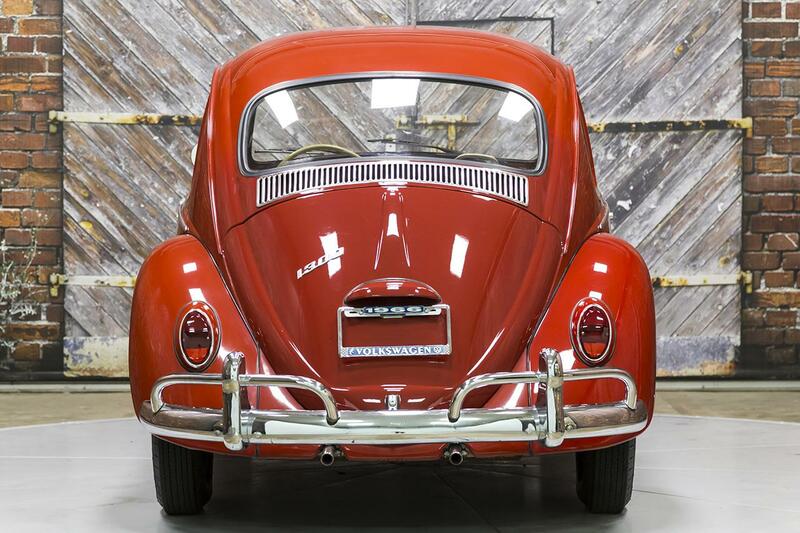 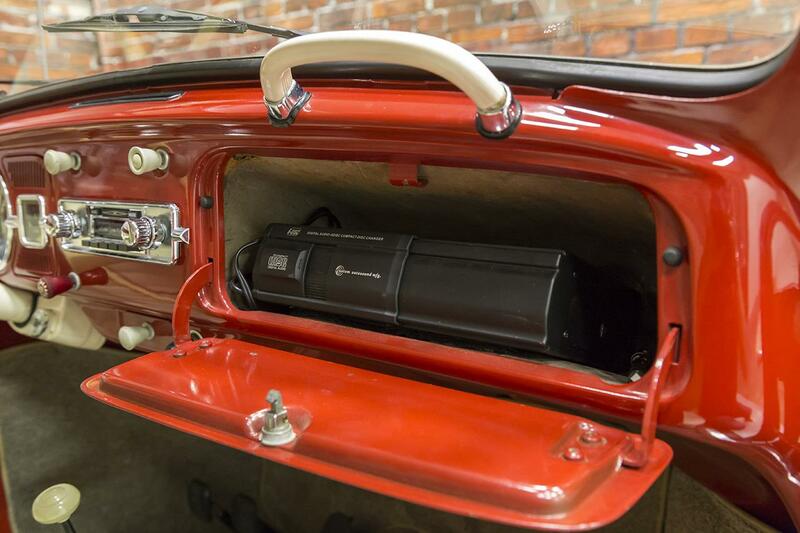 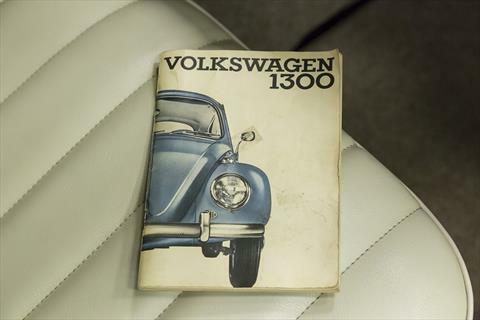 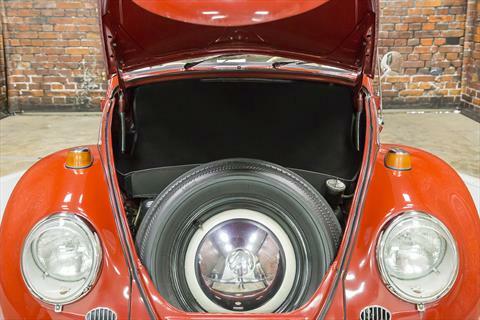 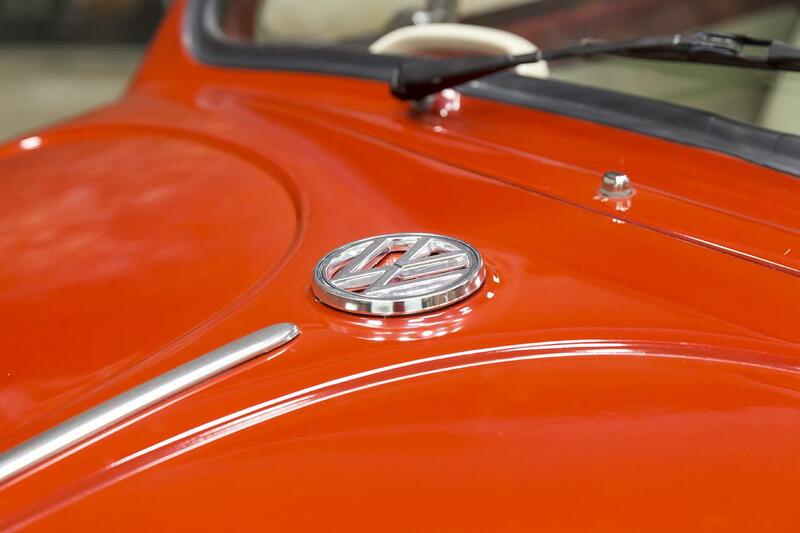 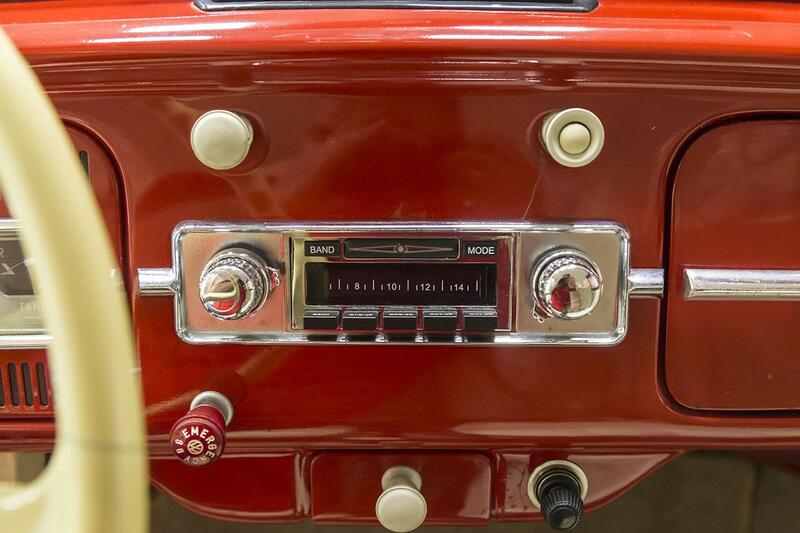 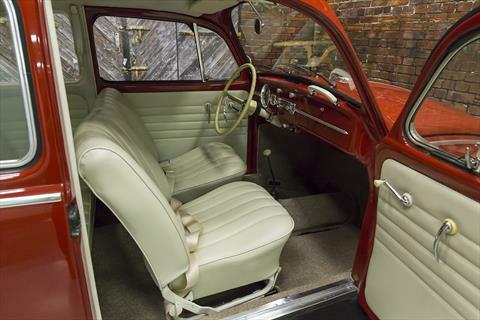 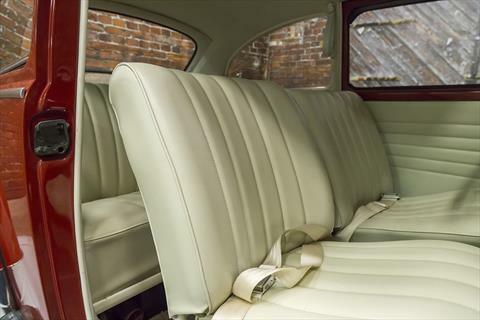 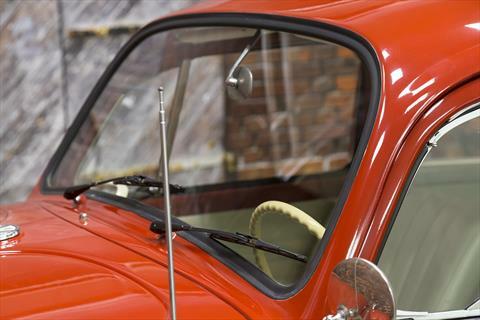 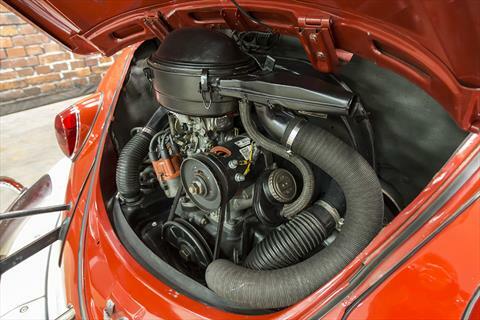 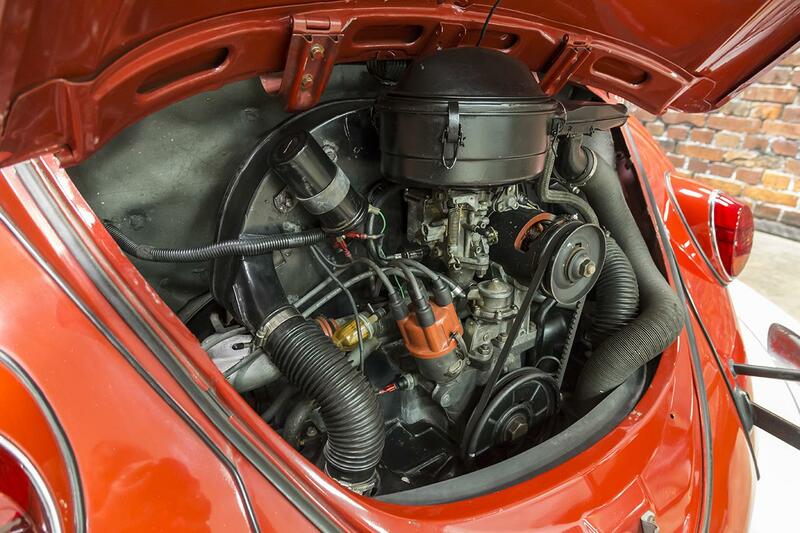 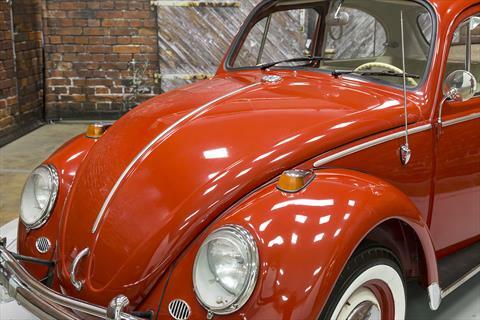 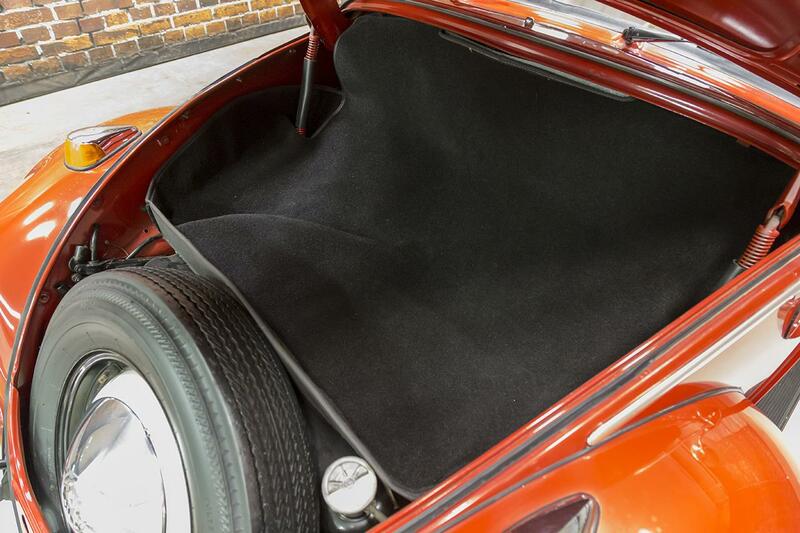 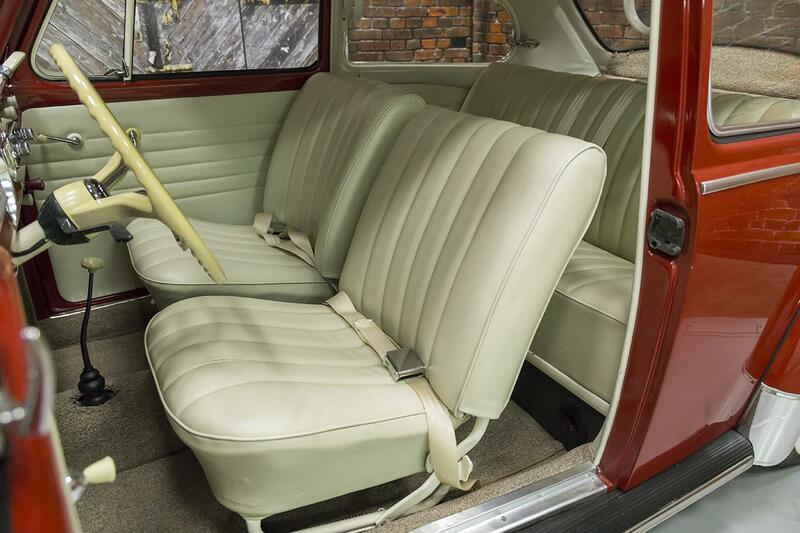 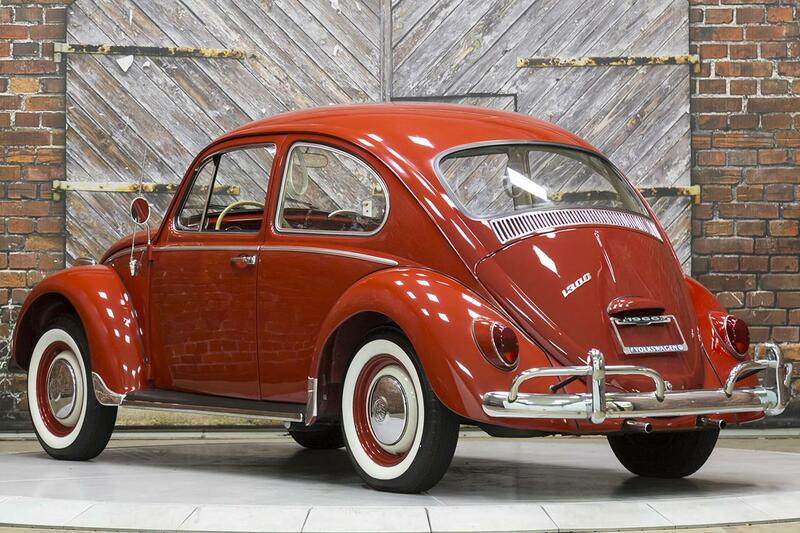 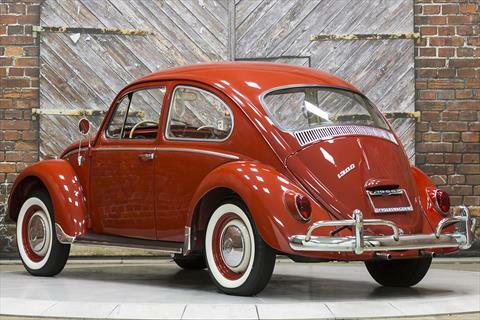 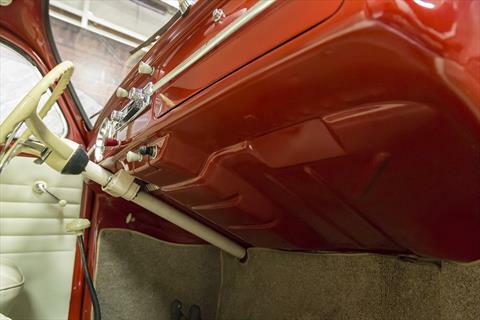 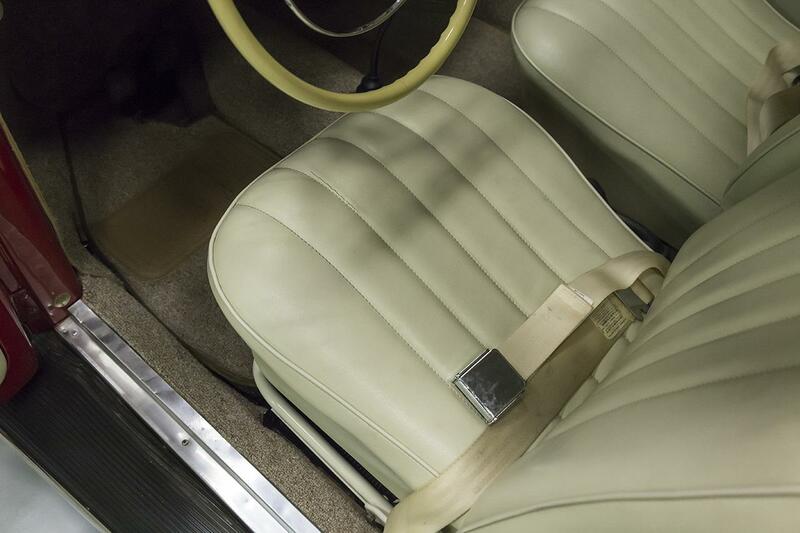 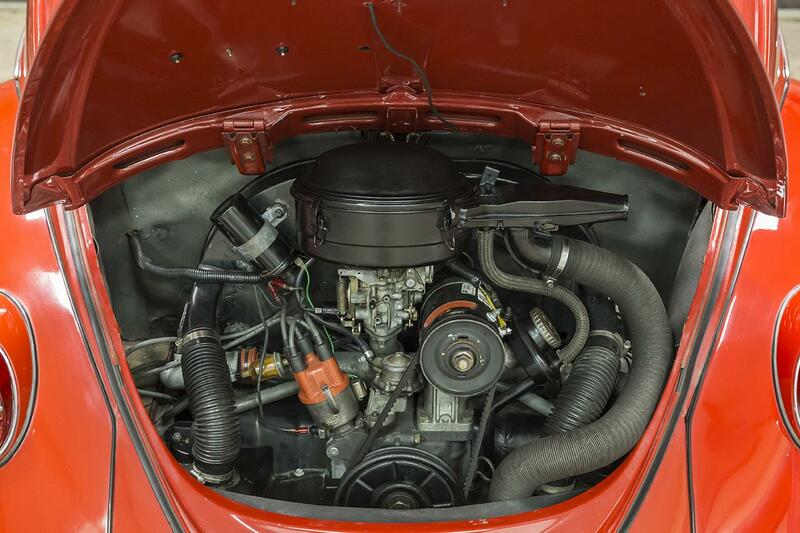 This 1966 VW Beetle 1300 is powered by a later 1600cc 58hp engine through a 4-speed manual transmission. 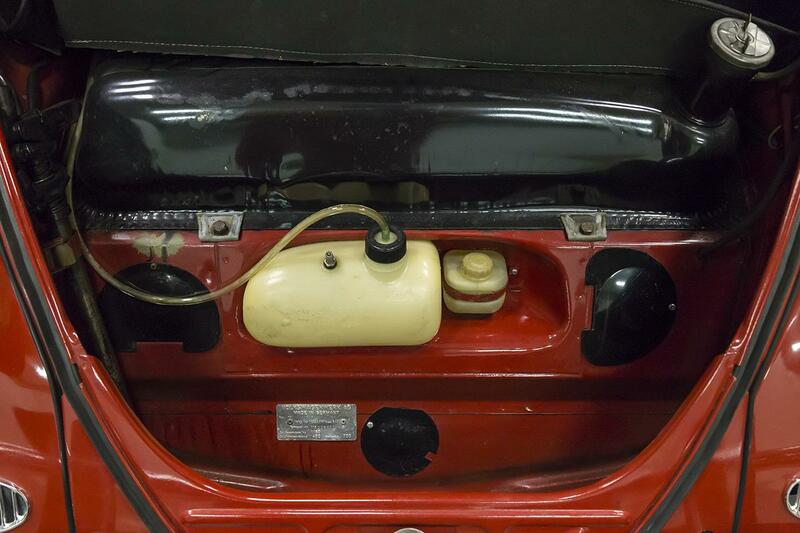 The car has been repainted sometime in the last few years, but it does appear be the original color. Furthermore, it is our opinion that the car was actually in one Georgia owner’s name for a majority of its life. 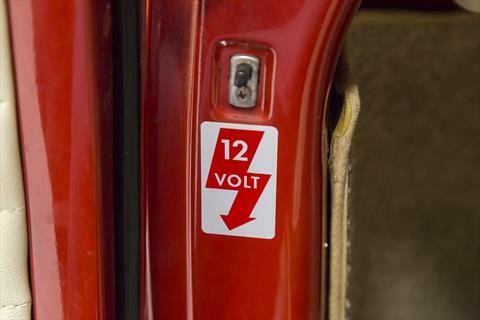 It was previously converted to 12 volts as well. 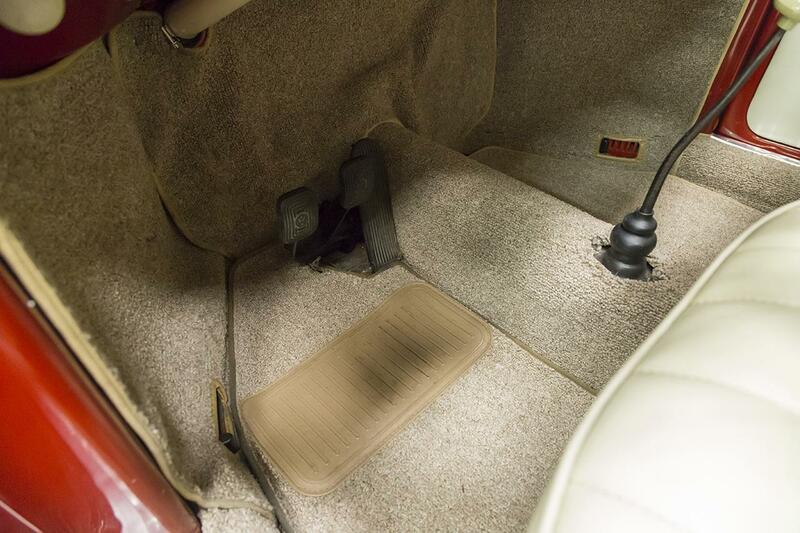 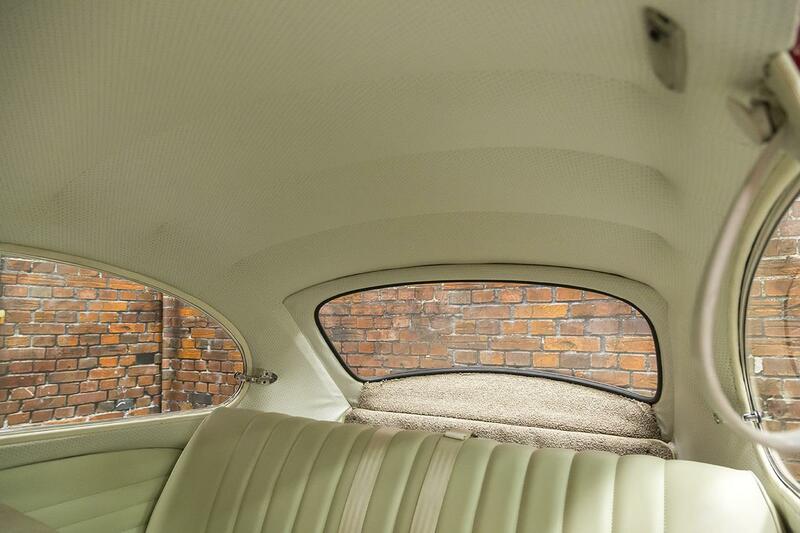 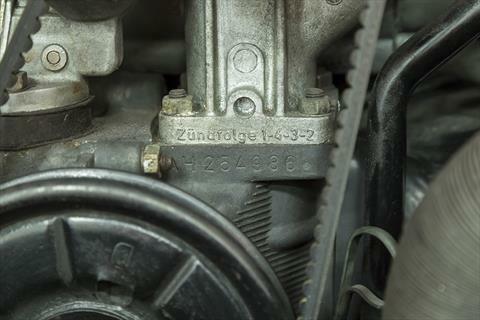 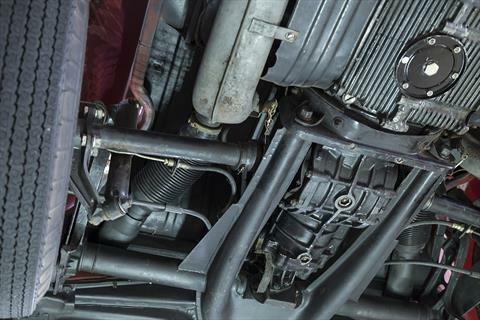 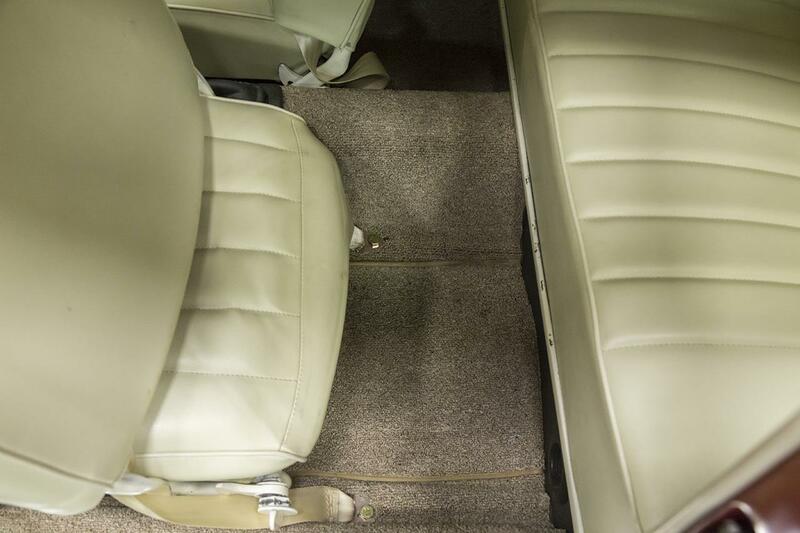 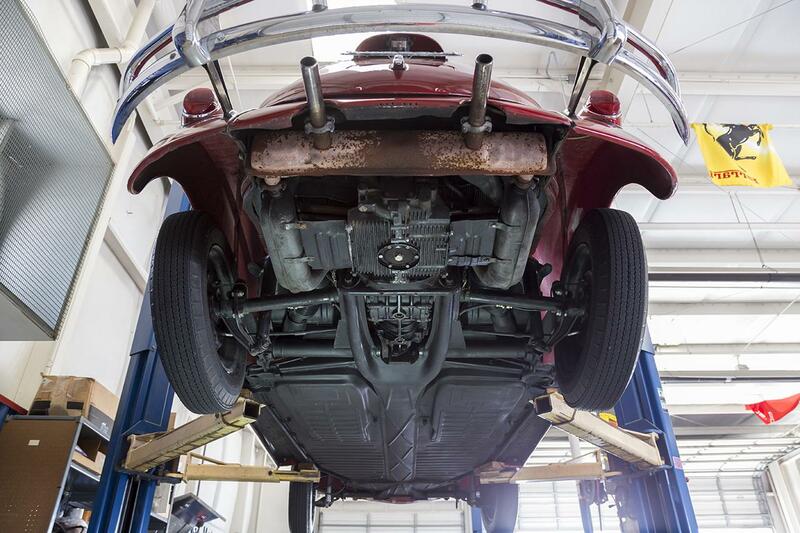 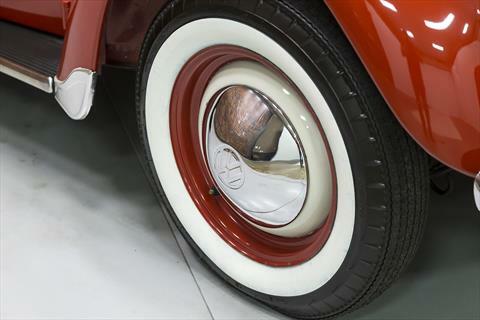 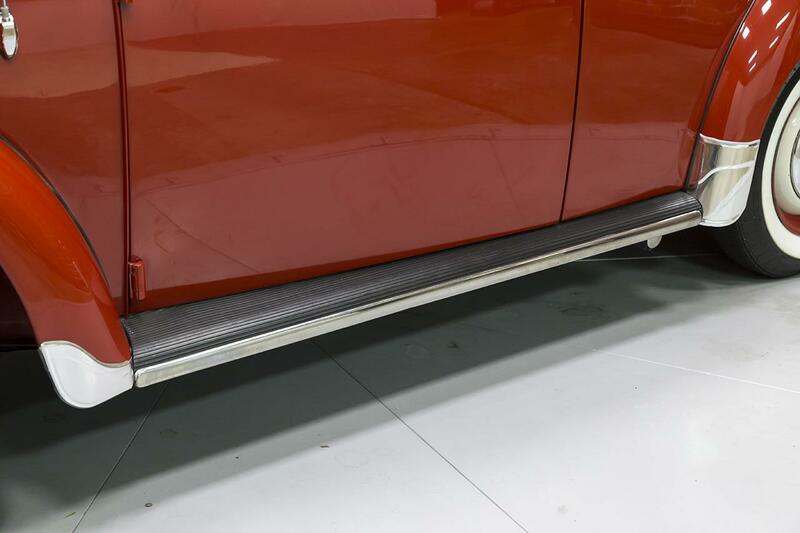 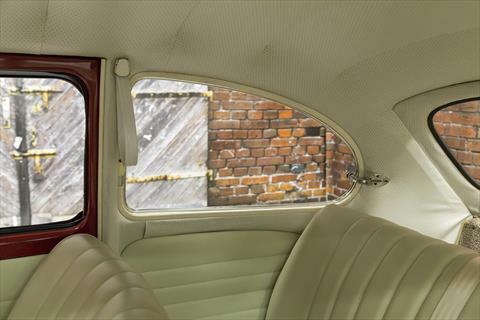 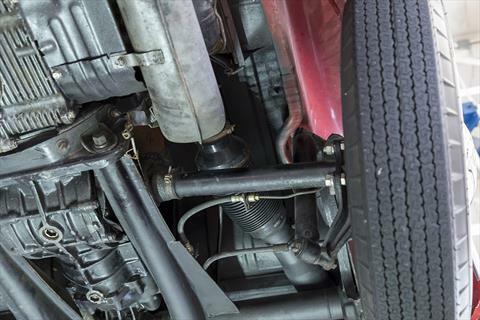 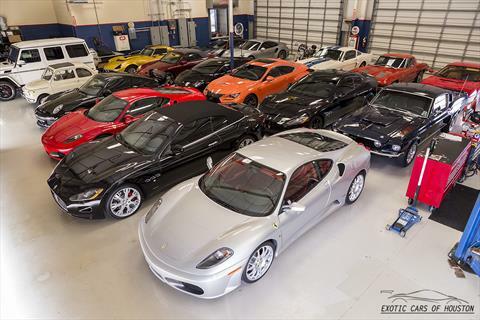 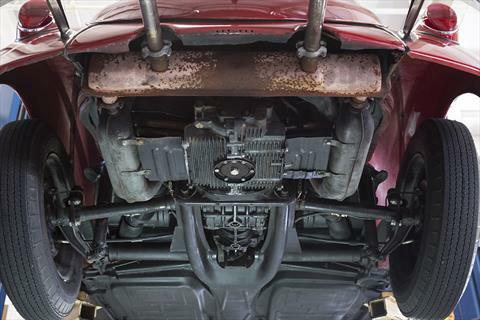 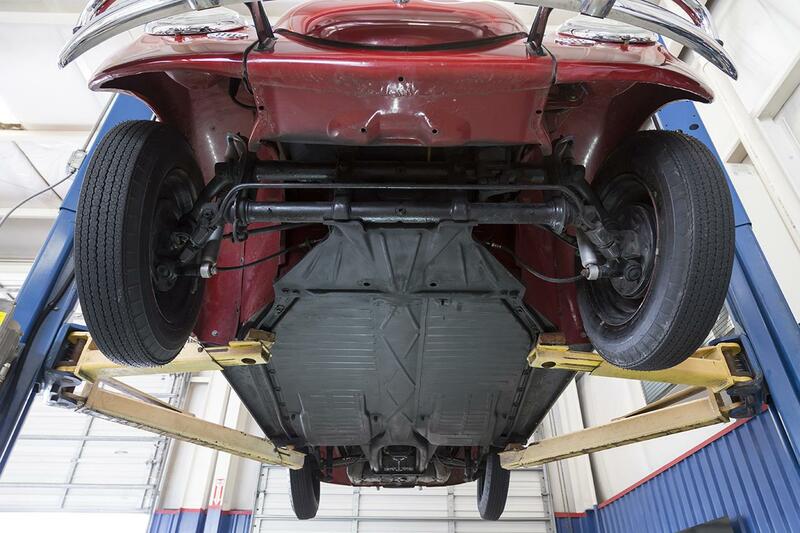 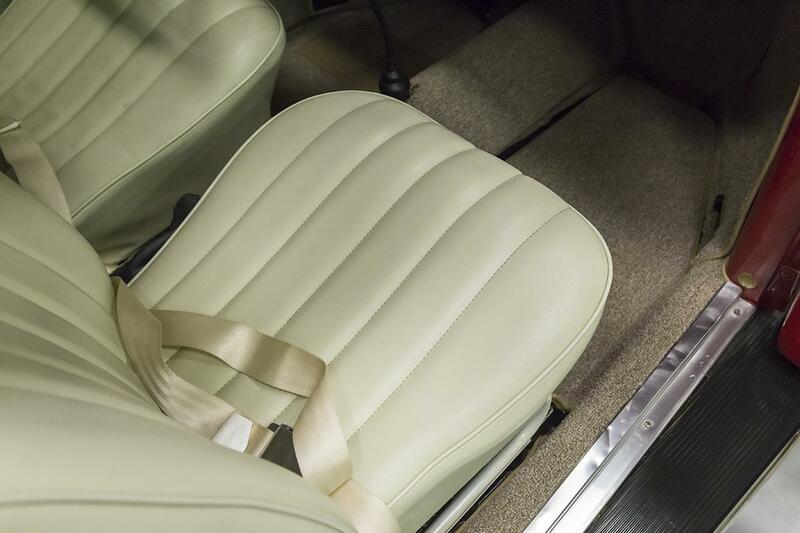 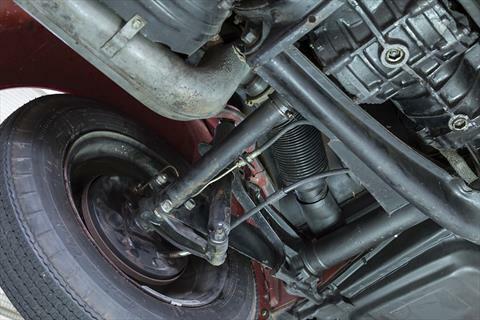 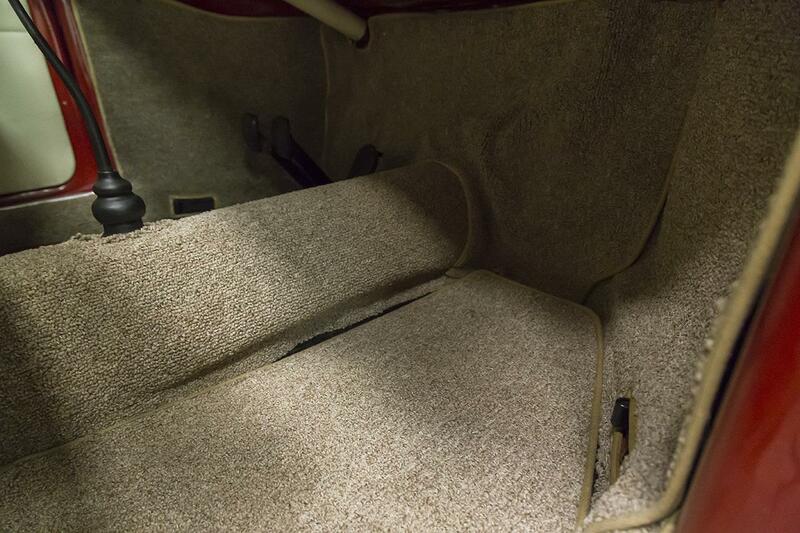 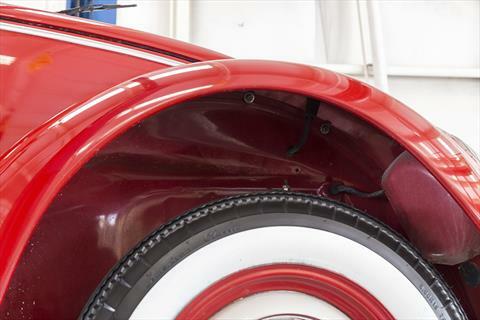 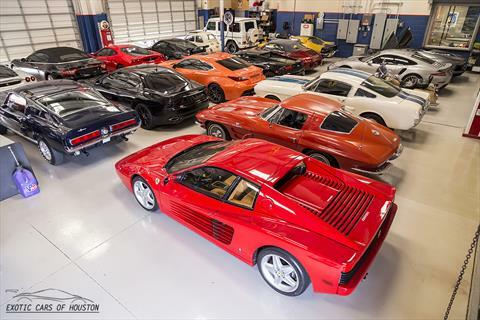 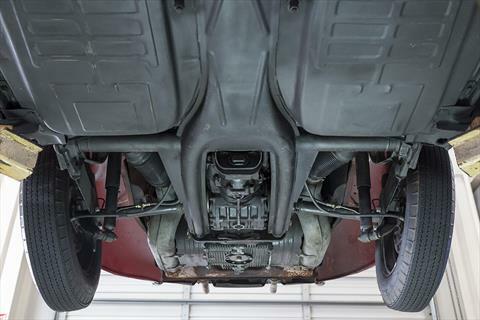 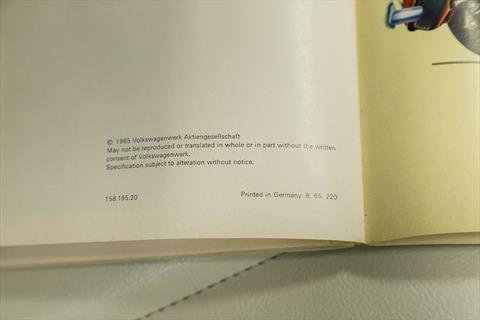 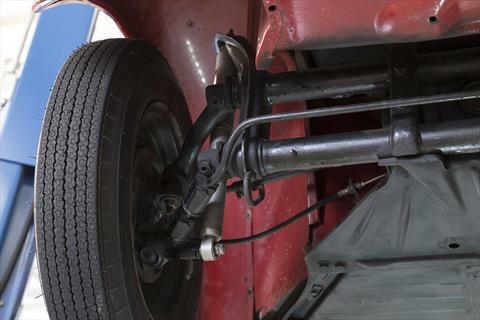 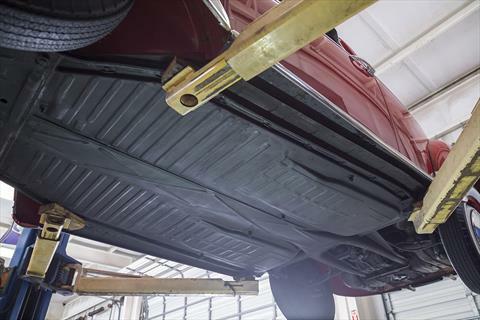 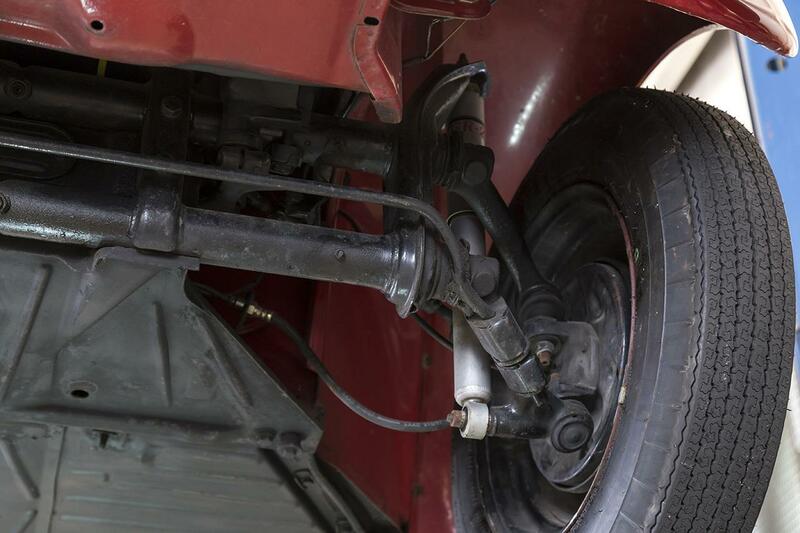 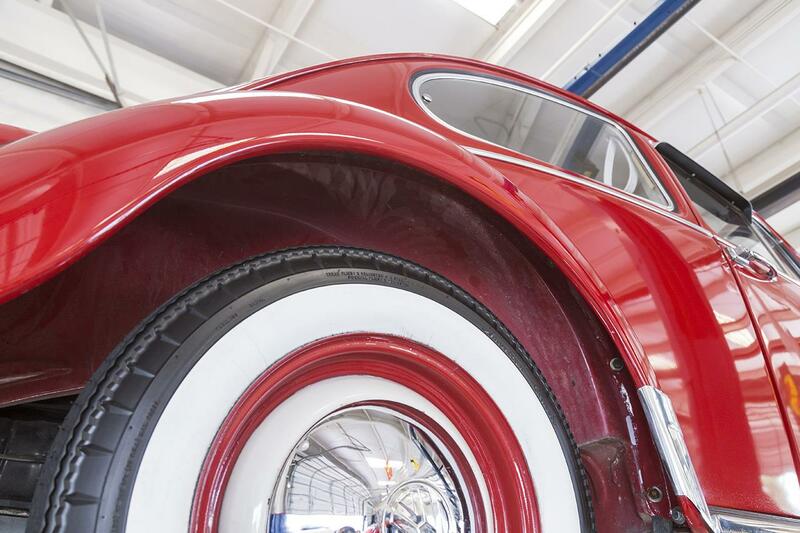 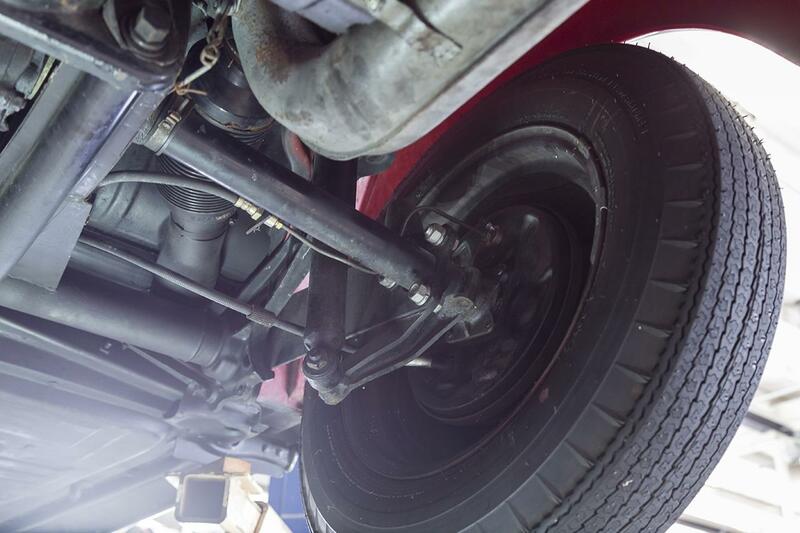 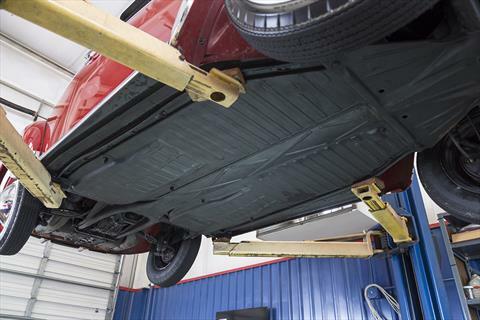 We invite you to view all our photos including those of the undercarriage and to see the car and inspect in person.